Wellington, Fla. - Feb. 19, 2018 - Founded by Katherine Gallagher and M. Michael Meller, Gallagher/Meller Sport Horses are internationally recognized for their eye of developing talented young Warmbloods into top show jumping mounts. In addition to their string of world-class bloodlines, Gallagher/Meller Sport Horses is thrilled to introduce their new breeding program with two prospective sport horses born in the spring of 2016. Born in the spring of 2016, Gallagher/Meller Sport Horses welcomed their first two offsprings Q Arthur G&M and Q Merlin G&M. 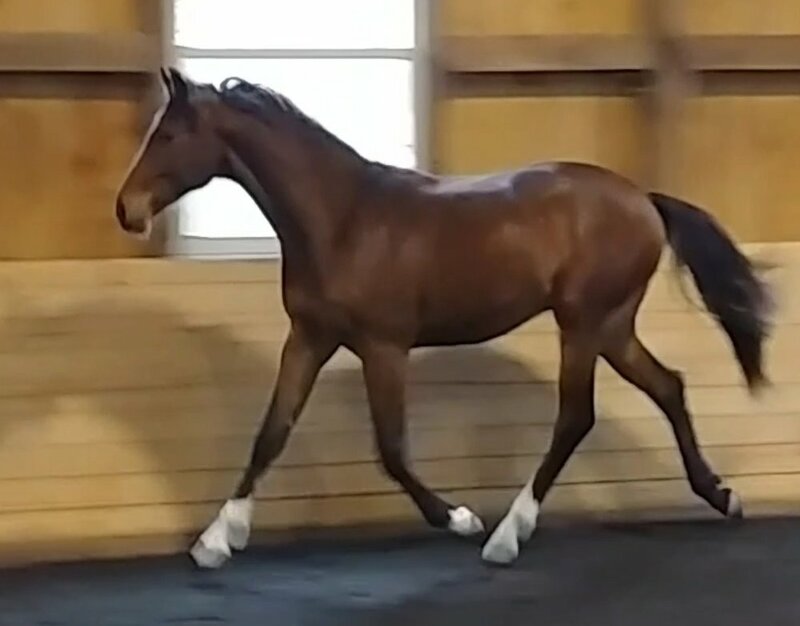 Q Arthur G&M is a striking bay colt is by Obourg, the Elite Belgian Warmblood (BWP) son of Richebourg, and out of Uderma. The sire, Obourg, had a very successful career at the grand prix level with Olympian Lisa Jaquin, and his other progeny include Espyrante, winner of the Horseware Grand Prix at WEF 2013 and Hertogin Odeveld, the overall champion of the 3 to 6-year-old mares at the National BWP mare show in Belgium in 2013. Their second bay colt, is Q Merlin G&M by Orlando, the 2002 6-year-old Belgian Champion and winner of the 2004 CSIO4* 1.50m in Lummen and out of Chico's Girl. Orlando's sire, Heartbreaker, has produced numerous offspring jumping at the upper levels of show jumping, including the 2006 Belgian Stallion Selection Champion Dulf Van Den Bisschop. Orlando's dam sire, Darco, was voted best sire in the world in 2010 for the fourth year in a row, and he has produced over 3000 foals in his breeding career, including McLain Ward's Olympic mount Sapphire. "Our team here at Gallagher/Meller Sport Horses are really looking forward to seeing how Q Arthur G&M and Q Merlin G&M develop throughout the next few years," Meller explained. "We hope to see them have great results and success in the sport of show jumping." Nicki Tolppa runs the Gallagher/Meller Sport Horse breeding program, and they are expecting three more foals in the spring of 2018, including foals by Diamant de Semily, Van Gogh and Chin Quidam. Katherine Gallagher has a strong passion for breeding and combining the right bloodlines to produce top horses for the future. She enjoys working with the babies as they progress and seeing which area they will go on to excel in. Michael Meller is always thinking of the future of the equestrian sport. He always believes that our actions as horse people should be done with the utmost respect for the horse. Together, they have created a world-class operation with bases in North American and Europe, showcasing the best equine athletes in the sport.